The software allows you to break a large PST file either it be ANSi or the UNICODE PST file into smaller PST files without losing any data. The metadata of the original PST file is retained after the process. 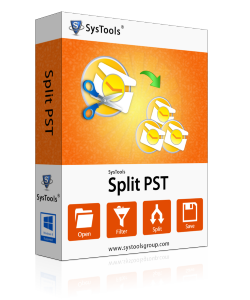 The tool allows you to use filters to split the PST file.The file can be splitted in four ways i.e. The tool allows to divide the Outlook data archive by date , size or folder that can be managed after importing in Outlook. The software does no tprovide an option to split the corrupted PST file. To split a corrupted PST file , it needs to be recovered first. After the splitting , the files can be saved to any location of your choice. Youi can create a new folder in order to save the PST files. The CSV file report is saved to the same location by default. While splitting the PST file , you need to choose the Outlook Version. The software automatically decides the format of the PST file based on your choice. Are you using Microsoft Outlook emailing application for a long period of time to carry out all your emailing functions? Has the long usage of Outlook email application resulted in increased size of PST files, due to which your Outlook speed has become slow? Are huge sized PST files causing problem in your work? Are you searching for some remedy to get rid of huge sized PST files? Large Sized PST Files Hamper Work: Due to the huge sized PST files in Outlook emailing application, your Outlook speed decreases and this slow speed can hamper your work greatly and you become unable to carry out your emailing tasks with ease. Large Sized PST Files Lead to Corruption: Are you using Outlook 2000 or 2002/XP? Are you now upset about the approaching corruption, which is likely to appear anytime as your ANSI PST file can go beyond the limit of 2 GB? Split Outlook PST Files: To get rid of large sizes of PST files, you need to split large PST files into smaller sized PST files by using some third-party tool. You can rely on Split PST software to split PST files into smaller sized PST files, which will increase Outlook speed. This tool can easily divide PST files into smaller PST files, so that you can carry out your task with greater speed. Trial version of software will split first 50 emails. For "Split PST by Folder" option, it will Split 10 mails in each folder. Do i need to have Outlook environment to split the PST file? 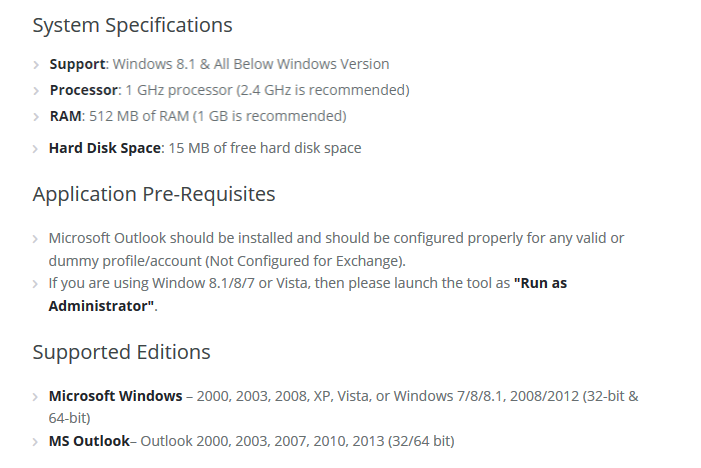 Yes , installation of the Outlook environment is needed on the machine so as to split a PST file. A valid or dummy POP3 shall be configured in Outlook. Is there any size limitation on the PST file to be used ? No , PST file of any size can be split by using the software. Can the software be used to split a corrupted PST file ? No, the software can only be used to split a healthy PST file that can be accessed using Outlook. Can I split multiple files at a time ? No , you can split a single PST file at a time. I had many issues using my large sized PST file in Outlook. Then I used Spli PST software and got the data managed in proper date based and yearly archives. This is the tool I had been looking for. Split PST software worked great for me. It is embedded with precise dividing PST file features thus giving a great performance.